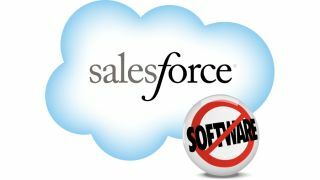 Salesforce.com has formed a strategic alliance with fellow Califonia-based company Workday that will see the two companies integrate their product lines. In a joint statement, Pleasanton-based Workday announced that it will work Salesforce.com's Customer Relationship Management (CRM) applications into its Human Capital Management (HCM), Financial Management and Big Data Analytics services. Workday says it will also build new Salesforce connectors for Workday Financial Management and Workday Big Data Analytics. At the other end, San-Francisco-based Salesforce.com says it will integrate Workday into its CRM applications and platform, including its collaborative Salesforce Chatter service. This means that Chatter users will be able to get updates directly from Workday, allowing customers to collaborate on and share workforce data in real-time in a secure manner, the companies claim. Additionally, Force.com users will be able to build applications using data directly from Workday's applications, and Workday's HCM users will be able to use data from Salesforce.